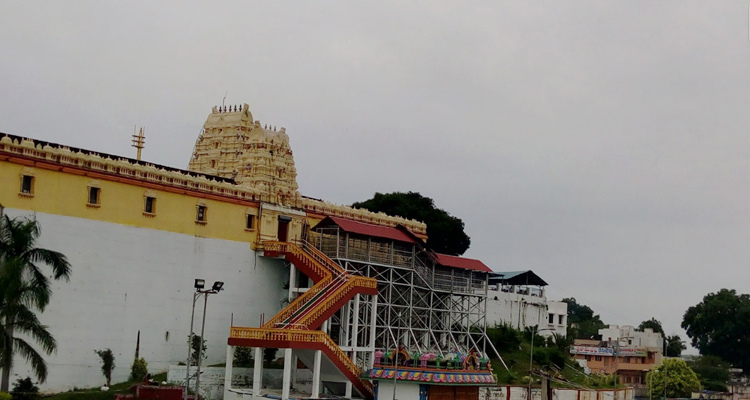 Bhramaramba Devi Temple is dedicated to Goddess Bhramarambika, a form of Goddess Parvati. Goddess Bhramarambika is the consort of Lord Mallikarjuna Swamy, a manifestation of Lord Shiva. 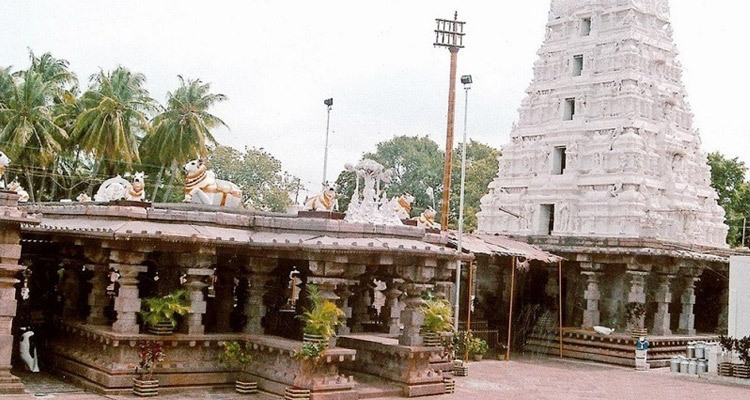 In this temple, goddess is worshiped in the form of Brahmani Shakti. The idol of the Goddess has eight arms and is wearing a silk sari. Inside the garbha griha of the temple, there is an idol of Lopamudra, wife of saint Agastya. There is a sri yantra in front of garbha griha. The word Bhramaramba means “Mother of Bees”. As per the legend, Goddess Bhramaramba has released thousands of bees with six legs to kill the demon Arunasura. There are many legends associated with the Bhramaramba Devi Temple. As per the most popular legend, Arunasura, a demon, was an ardent devotees of Lord Brahma. Pleased with his unwavering dedication, Lord Brahma blessed him with the powers that he can not be killed by any two or four legged living being. After receiving the boon, Arunasura started causing problems to devas and saints. Because of his immense powers, devas couldn't defeat him. Owing this, they went to Goddess Durga and pleased her to protect them. As an answer to their request, Goddess Durga took the form of Bhramari or Bhramarambika and created thousands of six legged bees that killed the demon. 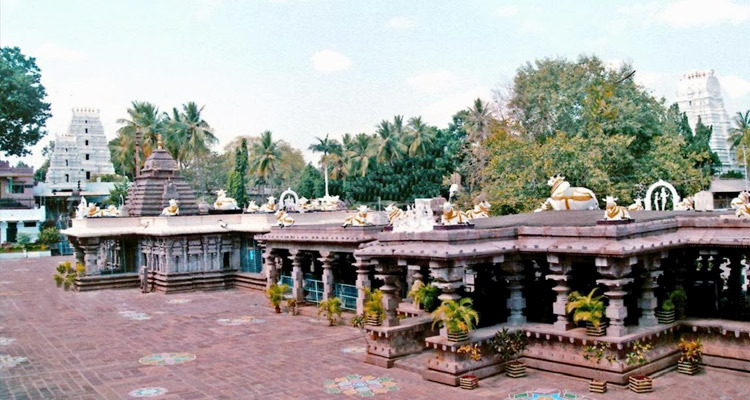 Later Goddess stayed back in the form Bramarambika in Srisailam. 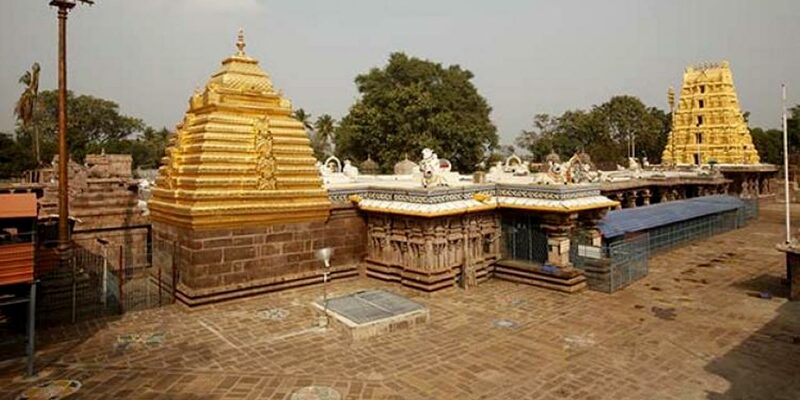 There is one more legend associated with Bhramaramba devi temple as it is one of the shakti peethas. According to the story of Shakti peeth, King Daksha, father of Goddess Sati, organized a yagna but did not invite Lord Shiva and Goddess Sati. In spite of this, Goddess Sati decided to attend her father’s yagna. However, grieved by the insults she and her husband Lord shiva had to face at the yagna, she jumped in the holy pyre. Angered by this, Lord Shiva killed King Daksha and destroyed the entire yagna. Later he carried the corpse of the devi and started his dance of destruction- Tandava. In order to stop tandava, Lord Vishnu intervened. He cut the corpse of devi through his divine Sudarshana Chakra; because of this different parts of the body fell on various locations. Each of the place where a part of the devi fell is considered as Shakti peetha. It is said that neck of devi fell here in Srisailam. Bhramaramba Devi Temple Timings for darshan are from 4.30 AM to 10 PM. It is open on all days of the week. 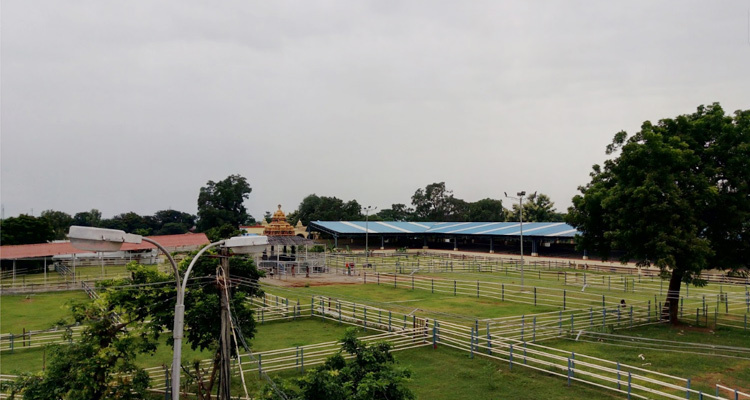 Although devotees visit this temple throughout the year, the best time to visit is during the festivals when it is filled with increased liveliness and enthusiasm of the devotees. 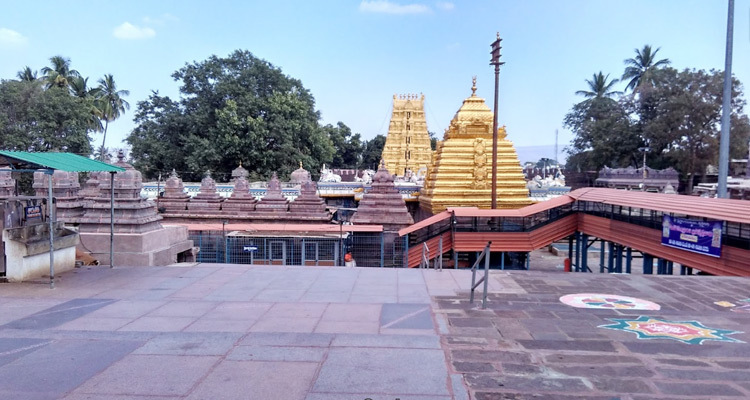 Visit especially during the Navaratri and the Kumbham festival to experience the unmatched spiritual aura of the temple. 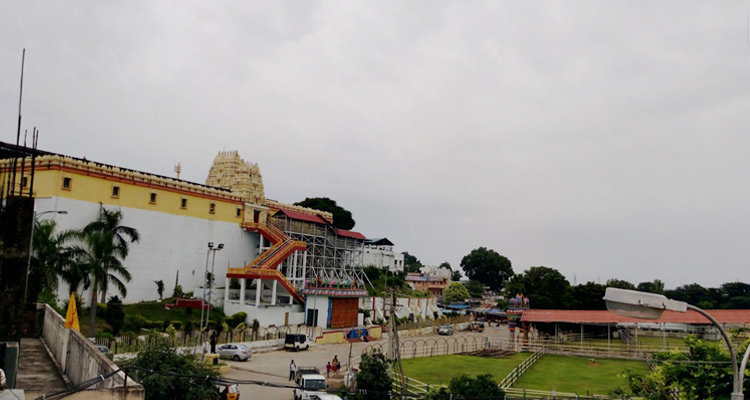 Bhramaramba Devi Temple is located behind the Sri Mallikarjuna Swami temple, which is a prominent landmark of Srisailam town. It can be reached easily by auto rickshaws or hired taxi.